In Bali, what you see--sekala--is a colorful world of ceremony, ritual, dance, and drama. What you don't see what is occult--niskala--is the doctrine underlying the pageants, the code underlying the rites, and the magic underlying the dance. In this book, author Fred Eiseman explores both tangibles and intangibles in the realm of Balinese religion, ritual, and performing arts. 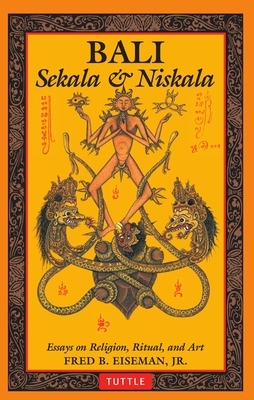 The essays collected here topics ranging from Hindu mythology to modern gamelan music. Eiseman's approach is that of a dedicated reporter in love with his subject--he has the knowledge and patience to explain the near-infinite permutations of the Balinese calendar, and yet he is still moved by the majesty of the great Eka Dasa Rudra ceremony. The author's 28 years experience on the island shows and this book rewards close reading--even by the most seasoned students of Balinese culture. Fred Eiseman's 28 years of experiences in Bali and his love of Balinese culture prompted him to write this book.